Following Farinelli and the King, here’s another gently aimless drama about opera and – more circuitously – the inestimable value of art. David Hare takes us back to 1934 and the birth of Glyndebourne, with Rae Smith’s design illustrating its distinctive blend of public and private. 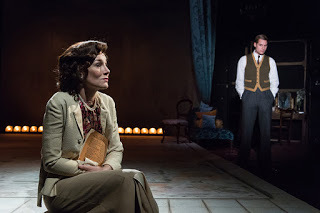 This entry was posted in Journalism, Theatre and tagged David Hare, drama, germany, glyndebourne, ham and high, hampstead theatre, jeremy herrin, jewish, london, music, musician, nazi, opera, play, review, roger allam, second world war, the moderate soprano, theatre, war. Bookmark the permalink.